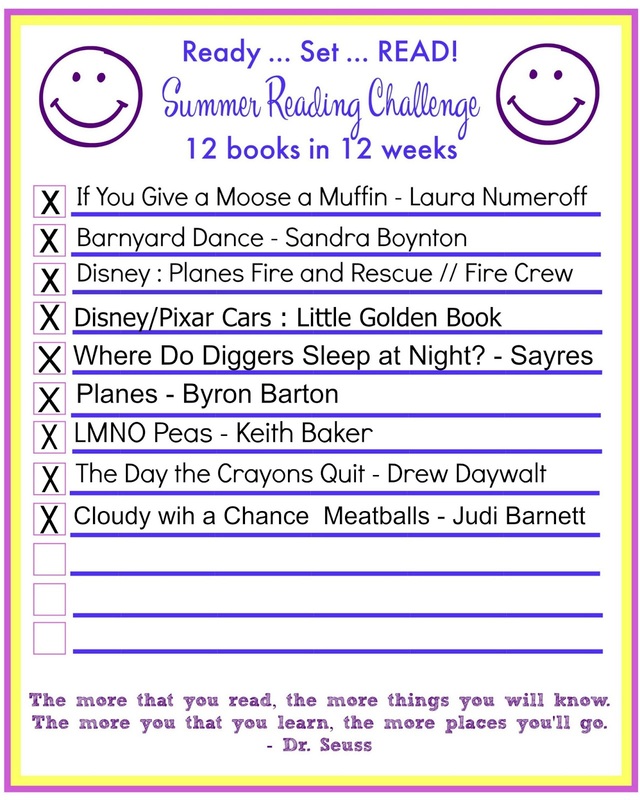 As I've mentioned before, when Stephanie, Courtney, and I announced our summer reading challenge, I was really excited to start reading more with Mason. We've checked in for the first time to share our first three summer reading books and a second time to share three more, and now I'm back again today sharing what else we've been reading. This time we incorporated Mason's birthday in with the fun and we added a few extra books to the mix! I've seen people commenting about this book for a while now and was excited when I found it at the library and thought it would be the perfect book for the "alphabet theme". It ended up being just as cute as I thought it would be and I love how they incorporate all the different jobs the peas have into the letters of the alphabet. 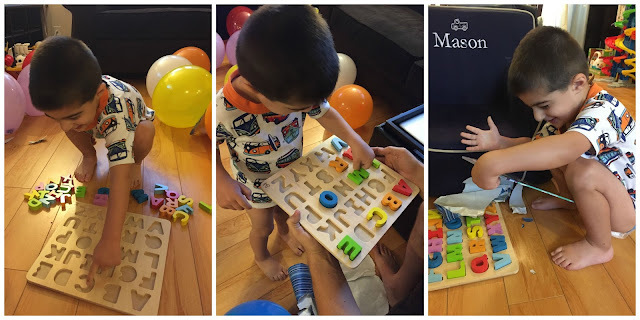 In order to incorporate the alphabet into play, Mason's new alphabet puzzle came in handy! PS something extra fun... when I was looking for the image for this book, I actually discovered that LMNO Peas is actually just one in a series! I'm definitely going to have to check out the others at the library now -- Little Green Peas: A Big Book of Colors and 1-2-3 Peas ! I'm sure I've already sang this book's praises on the blog before, but we seriously love this book so it was the natural choice for the "color theme". 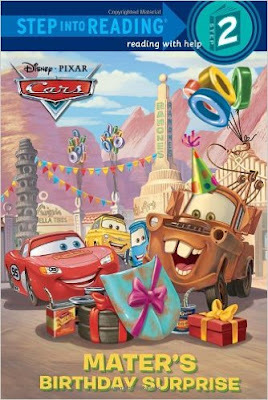 And if you already have this book and love it as much as we do, there's also a sequel coming out super soon (August 18th!) 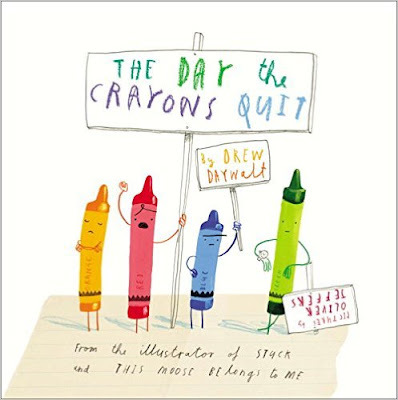 -- The Day the Crayons Came Home -- I have it saved in my Amazon cart right now! Now, tell us! What books are you reading this summer with your children? What books do I need to add to our summer list? Link up with us below! PS remember you need to have participated in the challenge as well as linked up at least once to be eligible for the giveaway on August 20th, the final check in! So fun! I love that he's enjoying his alphabet puzzle! We are totally gonna get the crayon sequel when it comes out! LOVE! 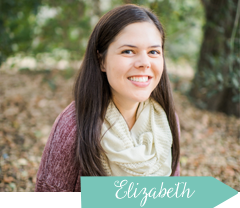 Our favorites...Dragons Love Tacos, Secret Pizza Party (Adam Rubin); Up and Down, Lost and Found (Oliver Jeffers); Maple and Willow Together (Lori Nichols), The Book with No Pictures (B.J Novak) I can't wait to get my act in gear and start posting with you all! LOVE YOU! We haven't made a library run in a few weeks, and it's on our to-do list today. Totally added L,M,N,O Peas! 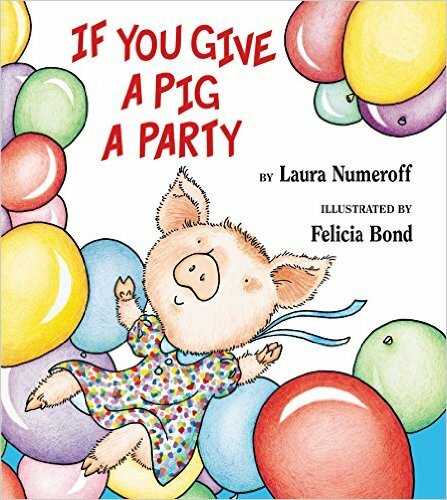 And, I thought we had/read all of the If You Give a ____ a ____ books, but I haven't even heard of If You Give a Pig a Party! We'll be hunting that book down, too. Marcus has been REALLY into Dr. Seuss' Wacky Wednesday. I think he likes it because it takes longer to read than most books. HA! I love all the books you read! Cloudy with a Chance is brilliant!!! Other than LMNO Peas, we haven't read a single book you shared. Looks like our to read list just keeps growing and growing. I have to check out these books - they all sound like they'd be right up my daughter's alley. The picture of Mason with his birthday pancakes is SO cute! Love these books! We have really been into the alphabet stuff lately too. I might have to get Mac that puzzle (and pray that he can sit still long enough to play with it). That alphabet puzzle is great! I bet it helps so much to learn the letters! LMNO Peas has long been one of our favorites! Did you know there is a lady bug hiding on every page? 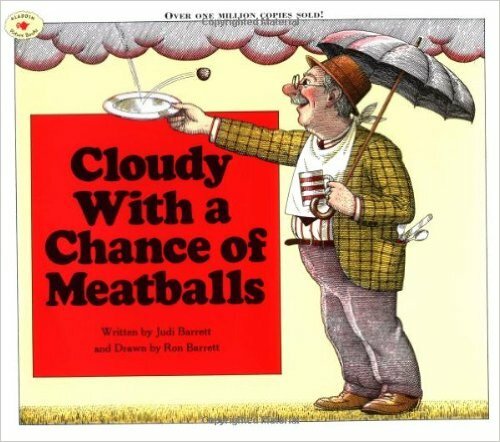 That LMNO Peas book looks adorable, might need to get that for the kids.. Cloudy with a chance of meatballs, bring back childhood memories for sure!! 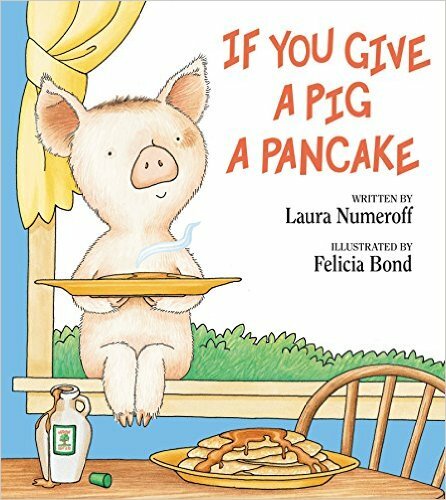 If you give a Mason a pancake!!! ha that should be a book. I've seen the other peas books but haven't actually checked them out yet. Definitely a cute one, the abcs anyways. Love that you have spaghetti and meatballs with your book =) yay! So, so fun! I am glad that you guys are enjoying books. We love books around here. I can't help but stock up every time Mason's pre-school had a book fair. Now that it's summer we are enjoying our library card. 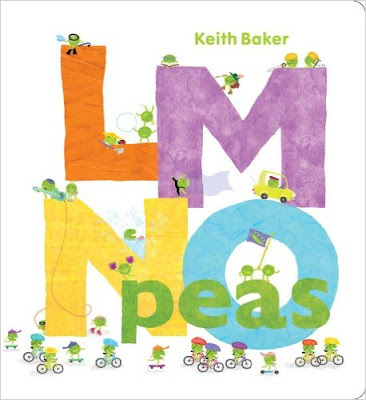 That LMNO Peas book looks adorable!